I am asked this question a lot: “Can I sue ______?” The short answer is always yes, you can sue anybody. The real question is “If I sue _____, will I win?” Because although you can file a lawsuit against anybody for practically anything, what matters is whether you would win the case, whether that type of cause of action is viable under Georgia Law, or whether that type of case would be thrown out long before you ever saw a jury. As a plaintiff’s personal injury trial lawyer, I must take and pursue cases for clients that only have a very high chance of success. My fee is entirely contingency based, meaning I don’t get paid, regardless of how much time and effort (blood, sweat and tears) I put into your case unless I win the case. Period. So when I hear these ridiculous claims that trial lawyers file “frivolous” lawsuits I get furious, because good trial lawyer could not possibly afford to file “frivolous” lawsuits. A lawyer who files “frivolous” lawsuits won’t be in business very long. So today I am addressing the pretty often-asked question of whether I can sue the County. Let’s say the County, or a County employee, has harmed or physically injured you in some way and you want to sue them for money damages. Piece of cake, right? Not… so… fast! 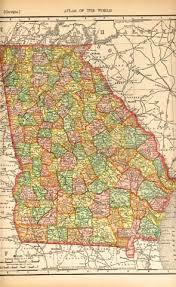 Unlike the State and unlike most cities (municipalities) in Georgia, a Georgia County enjoys wide sovereign immunity. The State of Georgia has waived its sovereign immunity for personal injury claims by creating the Georgia Tort Claims Act. There are a million hoops you must go through under the GTCA first to be able to sue the state, but if you know how to go through those hoops and go through them all just the right way, you may have a successful personal injury claim against the State of Georgia. The same is true for cities in Georgia, although they fall under a different state statute that allows them to be sued for negligence. But no so for the counties. Which begs the question: Why are counties so unique?